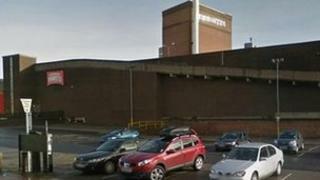 Sixty jobs are at risk at one of Lancashire oldest breweries. Daniel Thwaites PLC, which was set up in 1807, said it was restructuring and relocating its brewery on Penny Street, Blackburn, to an unnamed location. In a statement chief executive Rick Bailey said the current brewery was old, oversized and was reaching the point of being obsolete. He said talks with the firm's 350 employees had begun. The brewery announced 25 job cuts last February. Mr Bailey said the family-run company had been planning to reinvest in a new site for its brewery for two years and to redevelop the current site. One proposal was to turn it into a supermarket. He said: "We have not been able to make the progress that we had hoped with Sainsbury's and Blackburn with Darwen Borough Council, although we continue to pursue all options." He said the Penny Street brewery was "inefficient for the demands of today's market and is reaching the end of its economic life". Mr Bailey said the company would continue to brew beers in the town at the modern craft brewery built in 2011. He added he was unable to reveal the new location. Blackburn with Darwen Council have yet to comment on the redevelopment of the Penny Street site. The company is famous for its traditional Shire horse drawn wagons. In 1985 the dray horses were awarded freedom of Blackburn.